Philips Lighting will implement their first ever LED grow light project in New Zealand at Gourmet Mokai to improve the quality and cost efficiency of growing Campari cocktail tomatoes. Gourmet Mokai Ltd is part of the New Zealand Gourmet group of companies and sells premium fruits and vegetables to local markets as well as in Australia, Japan and Southeast Asia. The new LED grow lighting will be installed in January 2018 in a 4,500-square-metre greenhouse at Gourmet Mokai’s facility in Mokai on the North Island. Udo van Slooten, Business Leader - Horticulture at Philips Lighting comments that their LED technologies have, over the years, helped tomato growers across the globe produce better quality fruit and higher yields, with more control over their growing climate. By implementing the project for New Zealand Gourmet, Philips Lighting hopes to reach out to other growers in the region. A joint venture of New Zealand Gourmet and two New Zealand Maori trusts, Gourmet Mokai Ltd uses naturally occurring underground geothermal steam for heating. The Campari tomatoes are grown under glass using a method based on hydroponics. The project will be using an LED lighting system that combines Philips GreenPower LED toplighting and GreenPower LED interlighting. Roelf Schreuder, Production Director - Protected Crops at New Zealand Gourmet comments that they expect several benefits from the LED grow lights. The project is using an optimal spectrum for plant growth and crop management, based on the LED light recipe specified by Philips Lighting’s horticultural team. With the LED grow lights, they also hope to improve the taste, vitamin C content and shelf life of the produce while also reducing operating costs and gaining more control over the growing climate. 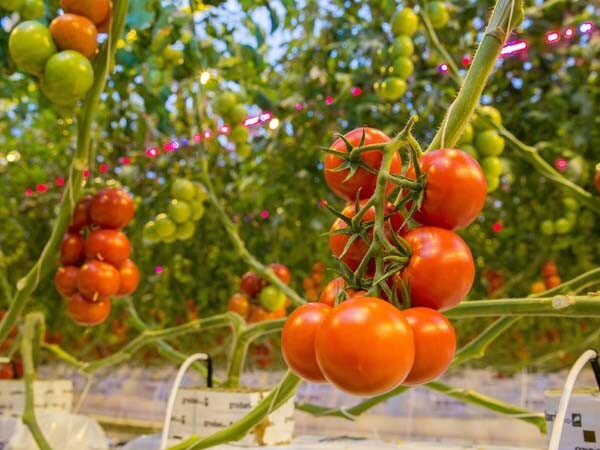 According to Schreuder, Gourmet Mokai must first learn how to grow tomatoes under LED lights and evaluate how the lighting affects their heating set-up, CO2 supply, irrigation management and pollination. For instance, bumble bees are released to pollinate the crops. But in the absence of daylight, and with the lighting system on, the beehives have to be closed, which means the bees can no longer pollinate the crops. The lights will be connected with the existing Hoogendoorn climate computer system, which will also control the opening and closing of the bumble bee boxes and CO2 supply. The Gourmet Mokai project involves the collaboration of several parties including Philips Lighting, RTF Climate, Agrolux, Zonda Beneficials and Hoogendoorn Automation with the iSii Next Generation System equipped with a special LED light module software package.